Raising suri alpacas. 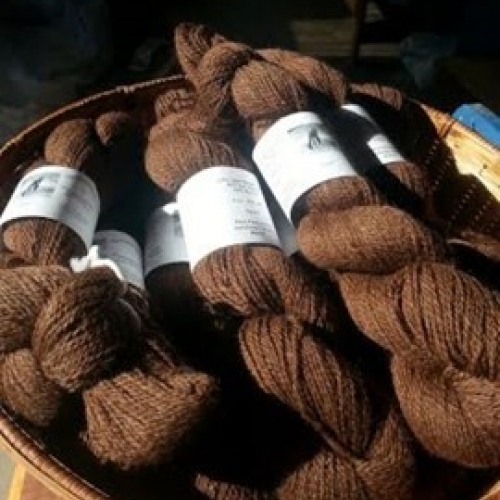 In addition to production and show quality livestock, they sell raw fleeces as well as rovings and handspun yarn. Suri fleeces are available in white, palomino, maroon and copper fawn. Huacaya alpaca roving available in white, black, brown, fawn and rose gray. LadySong welcomes farm visits and are developing aspects of their farm for agritourism, however they are lowering the herd size after injury. Most of the Suri Alpaca herd will be sold. As a result, I’m offering some very special packages – including a “whole herd” package – with financing available for qualified buyers. She will retain a few non-breeding females for fiber production, to maintain my active status with AFCNA, and for the pure joy of it, so she will continue to be available to mentor new breeders and to stand behind the alpacas bought from her, but it’s now time to turn the page and focus on developing something new. This opens a wonderful opportunity for someone looking to invest in some very nice quality suris, with rare genetics and exceptional promise. The suri fiber industry is looking at a bright future, with new end products being developed every year and consumers beginning to awaken to the marvelous luxury qualities of suri fiber. We need new, young, energetic folks to take up the mantle of developing the next generation of suri alpaca seed stock and fiber producers.